Last week, I have published a post titled Taking Stock on WordPress Theme Frameworks. I promised to update the article whenever I learn about new frameworks. Well, here is the first update, since I have stumbled into three more. The newly discovered WordPress frameworks are: MultiToool, NHP Theme Options Framework, and Ultimatum Theme. A brief description of these frameworks follows here below, but has also been added to the initial post. MultiToool by Bloooming is a theme builder with a visual interface. The framework comes with two predefined skins – a minimalist-styled Zen and a colorful Sun. These skins can be used as a foundation for developing your own or you can choose to start from scratch. MultiToool provides all tools and components you need to build your theme, like a Style Sheet Editor, Template Editor, and Droplets. The CSS Editor is accessible from every component, and shows the style definition of this particular component – comparable to Firebug’s Element Inspector. Droplets define menus, sliders and sidebars, but also headlines, tags and comment forms. A single-site license of MultiToool is available at ThemeForest for $45. The NHP Theme Options Framework comes with many built-in validation classes, like email and date validation. 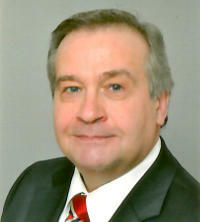 The current version 1.0.3 was launched April 14, 2012. 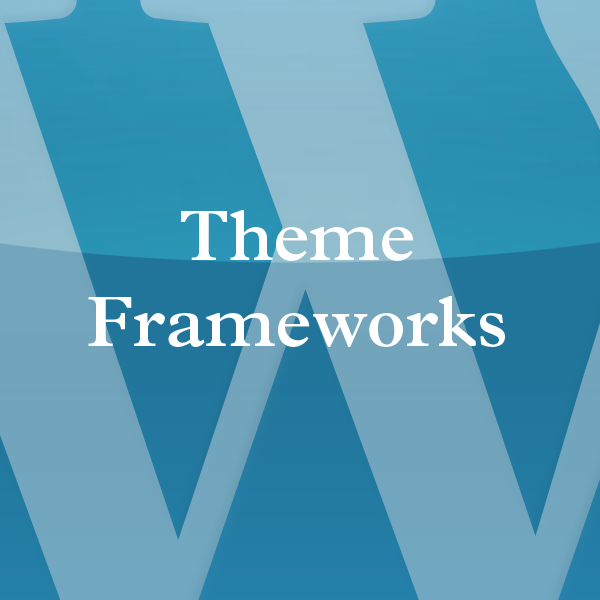 The NHP Theme Options Framework can be downloaded for free from gitbhub. Ultimatum is a WordPress theme framework incorporating a Drag-and-Drop Layout Builder and Style Editor. According to Ultimatum it is more than a WordPress theme or framework. 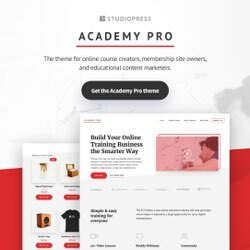 It positions itself as a total design suite for beginning WordPress enthusiasts, giving them total control of any aspect of the website without coding. The Starter License gives you a lifetime membership and support for one site. The Developer’s License entitles you to support for an unlimited number of sites, WordPress multisite support, and the ability to export templates. The Designer’s License adds the right to sell your templates to the Ultimatum Template Market. More details on the pricing plans are available here . What a great round-up & summary. I am 100% designer & 0% coder so have never been interested in trying to set up a website (I hire developers), but the current promo from Mighty Deals/Ultimatum (which lead me to your blog) is making me reconsider. I’m always obsessed with pixel perfect design and can’t/won’t program custom CSS. Think I should stick to working with developers? I failed at learning DreamWeaver a few years ago. Thanks! Thanks for your kind words and sharing your thoughts, Claire. It is true, the Ultimatum Theme offer at Mighty Deals is very tempting. I do not have any experience with Ultimatum myself. To date, I have been able to trace one Review of the framework – it is still a very young venture. Learning CSS is not that difficult, and definitely worth the investment IMHO. PHP of course, is different ball game. Although, I have a license of Dreamweaver CS4, I am not using it (yet?). Generally, I prefer a simple text editor with syntax highlighting like the free Notepad++. When you can spare the resources, I would suggest give it a try with one of the premium frameworks, or feel the water with PressWork and PageLines Lite. Both free and available at the WordPress Free Themes Directory. Good Luck! And it would be nice to stay in touch. Those are helpful links. I am still on the fence about venturing into the world of development, since my strengths are design. I was wondering if a better solution was to familiarize myself with the wealth of Themes (free or not) available and then design new websites with those as a foundation. Then the developer needs fewer hours to code… s/he just needs to customize the theme for me and, hence lower cost. I’d like to start doing responsive websites (for mobile adaptation) so I feel like that is another level of coding that would overwhelm me. Thoughts? – Thx! Using existing themes as a stepping-stone so that you do not need to start from scratch is a road I am traveling myself. Today, I am collecting themes and frameworks as I have been collecting stamps as in my childhood – I buy at least one a week. The design of this site for example is based on StudioPress Streamline. Please be aware, that when you decide to follow this strategy, that you choose one or two theme sources with a broad range of variation in their themes. Every programmer or theme vendor has his own software development methodology, which implies that you or the PHP programmer you are going to hire has to invest time – and you money – studying that methodology. Choosing one or two theme vendors is than common business sense. In case you do not know any HTML/CSS yet, you could pick book to make yourself familiar with these technologies. I can recommend Build Your Own Website The Right Way Using HTML & CSS or Learning Web Design: A Beginner’s Guide to (X)HTML, StyleSheets, and Web Graphics. The first one is more instructional, the second is more a text book and better suited as a reference manual. Most new themes are already responsive – suitable for various screen sizes – and are most theme vendors are already redesigning or adapting the CSS of their existing themes to make them appropriate for mobile use too. I really enjoyed your overview of these themes/frameworks. 🙂 Thanks! I just saw the MightDeal on Ultimatum and I’m very tempted! Looks like a very innovative take on full site widgets. I am light coder/designer and would love to streamline the wordpress process. Are you planning on trying it out? Thanks! 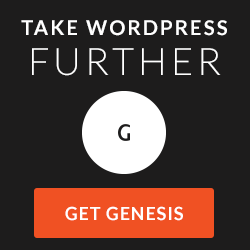 Good to learn that you have enjoyed the roundup on the WordPress frameworks. Actually, I have purchased a Developer’s License of the Ultimatum Theme yesterday. It was just impossible for me to ignore that deal. I will be examining Ultimatum the next few days and write a review about it. There are so many great themes and impressive tools available. I have already a list of preferred theme vendors, now I want to make up my mind about my favorite frameworks. Of course, I am looking forward to hearing about your experiences too. I design and code but am always looking for ways to streamline my work. In the pass with frameworks they were difficult customize the code if i needed to. Thanks for sharing your considerations. I intend to have a look at the Ultimatum theme this weekend. What frameworks did you try? I just found your blog here and it makes for some interesting reading. I am looking at Ultimatum and read that you where trying it out and would post back about it. Your last post was in April I was just wondering what you are thinking about it so far. Welcome to wilwebs. There is a review of the Ultimatum Theme available here at wilwebs. You find it here Ultimatum Theme – A First Look. I read that list of post as well as the link you have there to your comparison. In your price comparison on a few you refer to being able to has sites on different domains. In your review of Ultimatum you do not refer to domains, but you do say you can do unlimited sites. So I am guessing that they do not all have to be on the same domain? I know the question is a little stupid I just want to have it clear in my head before I buy. Also another stupid question if I build a theme and upload it to a clients site, what do they see in their admin panel? Is it the normal WP admin panel or the Ultimatum panel the show in the videos? You are guessing correctly. In case of the Developer edition of the Ultimatum Theme, you can run – and get support – for unlimited sites/domains. What clients will see at the backend depends on their role as a WordPress user. Admins will see the WP Admin panel and have access to the Ultimatum panel too, while subscribers will only see a very limited Dashboard and their own Profile. Hope this helps. BTW, the Ultimatum Developer License is still available at Mighty Deals for only $57. Yes it does help, thanks for the fast reply. I think I am going to check it out. NHP just merged with ReduxFramework. You should give the new version a try. It won’t disappoint. Im the creator of the nhp theme options framework, and since then i couldn’t maintain it as a free open source offering. Thanks for the update. This post has been updated earlier this year. A major difference however, is that the updated post concentrates on “shrink-wrap frameworks”, ready to use by the average WordPress user. P.S. My answer took a while since I have been ‘offline’ for a few weeks. It remains my intention to reply within 24 hours – at least on week days.